Down & Out Books, 9781946502742, 244pp. There have been many courtroom dramas that glorified the great American legal system. This is not one of them. My Cousin Vinny has been voted the most re-watchable movie of all time. It's a story about two wrongly accused young men and the wildly inappropriate attorney who must defend them in an Alabama murder trial. Aided by his savvy, firebrand fianc e, Mona Lisa Vito, Vinny must prevail over some very tough opposition in order to prove his clients' innocence. 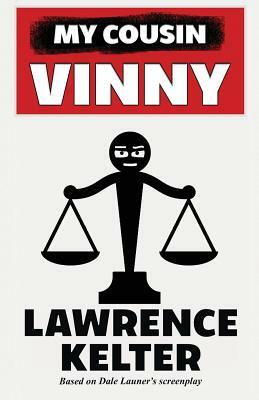 He must overcome the testimony of three eyewitnesses, a bulldog sheriff, an FBI forensics expert, a very competent district attorney, and an uncompromising judge who's just aching to prove Vinny a fraud.